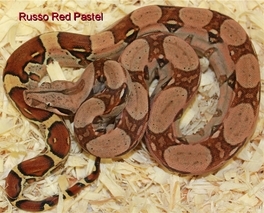 My "Russo Red Pastel" Boas are the product of many years of selectively breeding for Red. It all started with a very orange colored Salmon Boa that I got from Rich Ihle back in 1995. 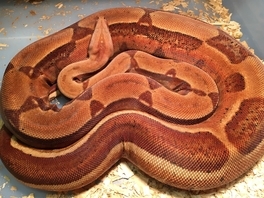 This male produced some outstanding colored offspring & I picked his best colored Babies for the future. 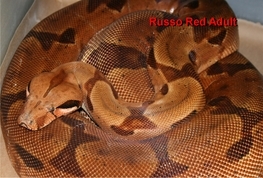 Then in 2005 I received a beautiful Red Pastel Boa from a friend. 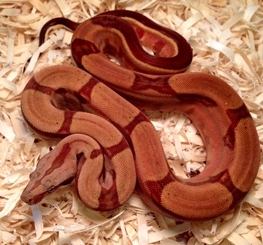 This boa was just a pure blooded Colombian import but was very Red ( This Boa is pictured on Page 183 of my book "The Complete Boa Constrictor" ). 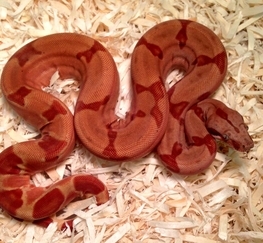 I then bred this Red Pastel Boa to my best Super Hypo male. 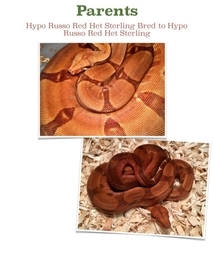 Fast Forward to today ( 2014 ) and I am up to 3 F generations of breeding my best Red colored Hypos & Super hypos to each other. 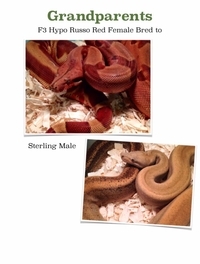 My best results thus far were from a litter born the summer 2013. 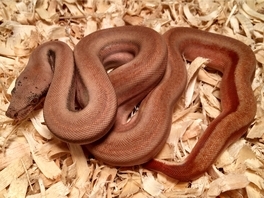 These are by far my best RED colored boas. 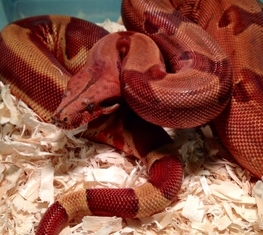 Lastly - please note that there is absolutely no "Blood Boa" blood in these Boas. 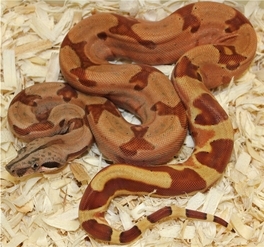 The Red color they possesse is passed on genetically & gets more intense by breeding my best Reds to my best Reds. This trait is Polygenic & acts similarly to a dominant trait in that it passes in one generation of outcrossing. However there is no super form so its just dominant ( not incomplete or Co- dominant ). 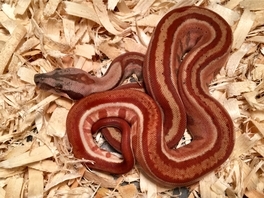 I will be only selling a few of these Red Pastels as I need to see which will be the best for my F4 generation breedings. If you want to get some offspring ftrom this project - please email me.